I don’t know about you, but I’ve reached my limit for the negativity and self-righteous snarkiness that I encounter online. So, this past weekend, I took a break from the internet. I decided no social media, no email, no surfing the web. I was going to dedicate myself to the beautiful weather and those people around me. And you know what? The weekend was lovely, peaceful and restorative. Just what I needed. I discovered something else that I needed. While looking for something this evening, I knocked over a stack of new music on my desk and before straightening it, I reached in and blindly grabbed a CD. And the album I pulled out was Kindred. This was just what I needed. What a beautiful collection of music! It is the perfect antidote to all of the things in the world that bring you down. Those familiar with Renee Stahl’s first Renee & Friends album, Simpatico, will not be disappointed with these new collaborations. 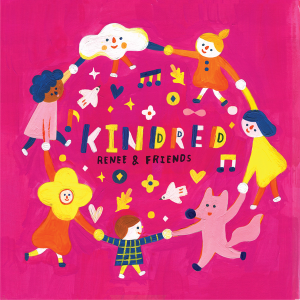 Kindred is filled with gentle, soothing songs that can be enjoyed by the entire family. The opening track “Kindness is Cool” sets the tone for the album. Performed by Renee & Jeremy, this reminder of the importance of being kind to one another is wrapped in catchy lyrics highlighted by the refrain, “I’ll be for you. You’ll be for me. Kindness. Kindness.” This is followed by the dynamite performance by Renee’s 12-year-old-daughter, Amelia, on “Super Fragile World” as well as a lovely cover of the Cat Stevens tune, “Where do the Children Play” with vocals by Renee and Ziggy Marley. It’s hard to imagine a rap by Secret Agent 23 Skidoo being overshadowed by anyone, but that’s exactly what happens on “Leaders of the World.” While Skidoo’s words are powerful and strong, it’s the beauty of the vocals of Addi Rose, Amelia Dektor and the Cold Spring School Chorus that truly capture the essence of this song. Additional friends on this album include Lisa Loeb and Elizabeth Mitchell who join Renee in their rendition of the classic, “High Hopes.” Finally, there are two tracks that allow Renee’s crystal clear voice to shine. “Nothing and No One” focuses on the fact that there is nothing in the world that could take away a mother’s love for her children and could easily be used as a lullaby. The last track on the album, “How Did You Get So?” is a gorgeous song that asks a child – how did you get so sweet/smart/beautiful? It is the perfect ending to a much needed album. Every family would benefit from taking a few minutes, unplugging from the outside world and taking in the messages of Kindred. 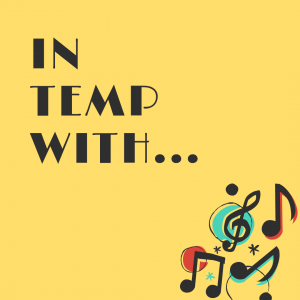 “In Tempo With…” is a new feature that will be popping up on Kids Rhythm and Rock from time to time. It highlights a children’s performer and includes a short Q & A. As we reach the culmination of Mardi Gras, it is my pleasure to spotlight Johnette Downing and her Cajun celebration, Swamp Romp. Downing is a prolific author and entertainer with almost two dozen picture books and a dozen albums to her credit. A New Orleans native, the folklore and culture of Louisiana is reflected in many of her books and lyrics. 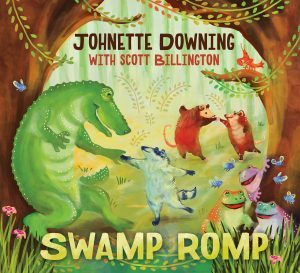 Downing’s latest family music album, Swamp Romp, is a collaboration with GRAMMY Award winner Scott Billington. The fifteen original songs in this collection grow from Cajun roots, featuring lots of brass and percussion and rhythms that beg for you to clap and tap along. Many of the tunes like “Mudbug Boogie,” “Bamboula Rhythm,” and “Get Ready, Get Set, Let’s Groove” are designed to get children up and moving and would be great fun to use in a storytime setting or for a Mardi Gras celebration. The chant-like song, “Mississippi River” will have children spelling Mississippi and jamming along in no time. While the entire album embraces Louisiana roots music, several of the songs such as “Who Got the Baby in the King Cake?” “How to Dress a Po’ Boy” and “Crawfish Étouffée” really place listeners in the heart of New Orleans life. 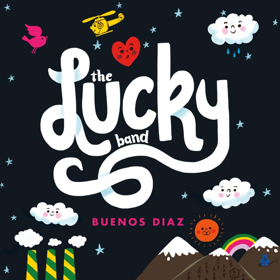 Want to learn more about these engaging, entertaining tunes? Don’t miss the detailed liner notes which include background information on each song’s origins as well as some of the album’s guest performers. Johnette Downing recently took some time to answer a few questions. Swamp Romp is a celebration of Louisiana roots music featuring a wide variety of instruments, rhythms and subject matters. When you’re writing songs, which comes first – the music or the lyrics? When writing songs, there is no set method for me. The muse sometimes delivers the lyrics first while other times the melody. For example, Scott and I try to walk three to five miles per day. On one of our walks, I just started singing, out of the clear blue, “When you walk down the street, you can feel it in your feet. It’s the bam-bam-bam-boula rhy-thm.” The beat of the words I sang, “bam-bam-bam-bou-la,” is the exact rhythm of the underlying beat of much of New Orleans music. We stopped immediately and recorded the song on a four-track app we have on our phones. We have this recording app on our phones for this express purpose of capturing melodies or lyrics when they come because you just never know when that spark will fire. What is your favorite Mardi Gras tradition? My favorite Mardi Gras tradition is the king cake party. At king cake parties, children (and grown-ups) enjoy slices of this braided pastry, but this is not just any cake. There is a lucky plastic king cake baby hidden inside the cake! Whoever finds the king cake baby in his or her slice of king cake is unofficially crowned king or queen for the day, and is required to host the next king cake party. This tradition ensures that the celebration continues throughout Carnival season. Partygoers will ask, “who got the baby in the king cake,” because they want to know where the next party will take place. If you could only eat one meal in New Orleans, what would it be? If I could only eat one meal in New Orleans, it would be charbroiled oysters from Drago’s Restaurant, where I believe the dish was invented. They grill the oysters over an open flame and dress them with butter, garlic, pepper Parmagiano and Romano cheeses. De-lish! For me, children’s music is a celebration of childhood. It is vehicle for inspiring children to think, laugh, dance, sing, clap, question, inquire, move, create, express, bond, and learn. In many ways, music is at the very core of being human. It is our heartbeat, our breath, our connection, our comfort and our joy. **For a taste of Mardi Gras New Orleans style, take a peek at the video for “Bamboula Rhythm” from Swamp Romp. Laissez les bons temps rouler! 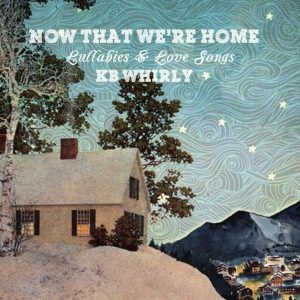 KB Whirly’s fourth studio album for families is a collection of lullabies and love songs celebrating the concept of home and the ones who live within it. Written as a love letter to his daughter as she grows up, the nine songs in this collection take a look at the little, daily moments of life through the eyes of the parents and child. Produced by Dean Jones, acoustic accompaniment perfectly pairs with Whirly’s folk, at times almost country, sound while frequently eliciting a Jack Johnson vibe. The lyrics are filled with love and care for family and the world around them. Now That We’re Home is a great addition to those quiet times, nap time or bedtime. Below is the handmade arts and crafts video for the track, “Just Us Three” which describes small moments during a family outing. If you want to hear more lullabies from the album, watch the album release celebration KB Whirly Facebook live concert on Friday, February 22 at 6:30 pm EST. Beginning February 16, there is a new YouTube channel that any grown up who lives or works with children needs to share with the little ones in their lives. 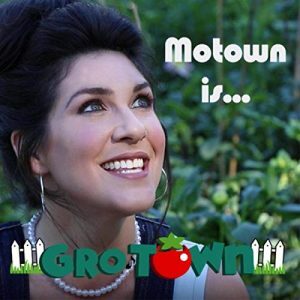 Created by Dana Cohenour, or Miss Dana, Dana’s Music Playground is set to be the weekly musical treat that everyone needs. Drawing on her 20 years of experience entertaining families across the country, Miss Dana has crafted an exciting new program that will keep children engaged and entertained while also learning a thing or two. 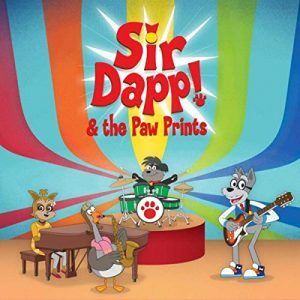 While each week features a different theme – February 16 (Monkeys), February 23 (Happy), March 2 (Birds), and March 9 (Cows), every episode incorporates songs, musical instruments, fingerplays, sign language and much more. Miss Dana’s gentle, welcoming nature will draw children in at the same time that her energy and enthusiasm will get them up and moving. Get a sneak peek at what is in store in this trailer for Dana’s Music Playground, then mark your calendars for the February 16th premier. Want to learn more about Miss Dana? 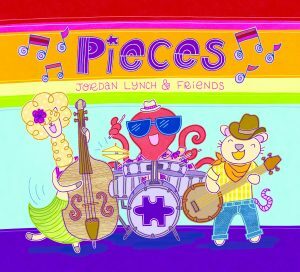 Check out this review of her 2017 album, Dana’s Best Jump and Jam Tunes which was named one of the Top 10 Albums for Children by School Library Journal. Vancouver-based Ginalina’s latest album for families is a delightful, up-tempo celebration of love. Beginning with the opening track, “Welcome to the Neighbourhood,” It Take a Village draws listeners in by emphasizing the importance of community and opening our hearts and embracing one another. This theme continues in the title track, “It Takes a Village” all the way through the final song on the album, the beautiful, “Goodnight Lullaby.” In between are songs that let children know that change doesn’t have to be scary, that they can be anything that want when they grow up, and that doing things together is better than doing them alone. Ginalina continues her tradition of writing songs that honor nature with tunes about the winter weather, the arrival of spring, and the life cycle of bunnies. Also included on the album is the French tune, “Dans la Rivière (tous Connectés) and the multi-lingual song “Apple Apple Seed” which is performed in English, French and Chinese. Ginalina’s folk-pop sound is accentuated by uplifting melodies and lyrics that encourage audience participation. “It Takes a Village” is a true delight. 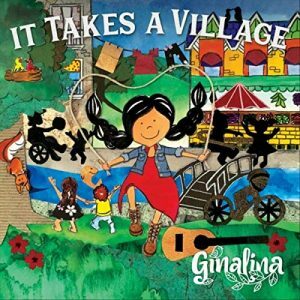 UPDATE: It was announced today that It Takes a Village is nominated for the 2019 Juno (Canada’s Music Award) for Best Children’s Album. 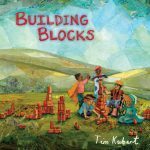 Kubart skillfully, positively affirms all of the experiences of childhood. Released as a full-length picture book in 2018, and now a track on this album, the lighthearted “Oopsie-Do!” let’s children know that it’s ok to make mistakes while “Day One” speaks to a child’s first time leaving for school. Told from the child’s point-of-view, this will tug at every parent’s heartstrings. Take a look. Several special guests pop up including Steve Burns (Blues Clues) on the construction-themed “It’s Going Up,” the Woodward Parkway Junior Chorus on “We Are Growing” and Genevieve Goings (Disney Junior’s Choo Choo Soul), Carly Ciarrocchi (Sprout House) and Drue Davis (Postmodern Jukebox) on the celebration-filled final track, “Block Party.” Building Blocks is a pure delight that families will enjoy listening to again and again. Enjoy the video for “Ready For You,” a tale of children who have been proving they are ready to take on the responsibility of a pet, below. Last year I had to buy a new car. While the vehicle is great and a real step up from my 12 year old two-door sedan, there is one major flaw. It doesn’t have a CD player. They just didn’t offer it. I keep hearing that this is the wave of the future. That CDs are on their way out. While that may be true, we still have a really long way to go and that is why album cover art continues to be so important. While many parents are now either streaming music for their kids or playing children’s music videos on YouTube, there is still a large number of families who are buying albums, or in many cases, checking them out from the library. Much like books, people often check music out based on how the cover looks. 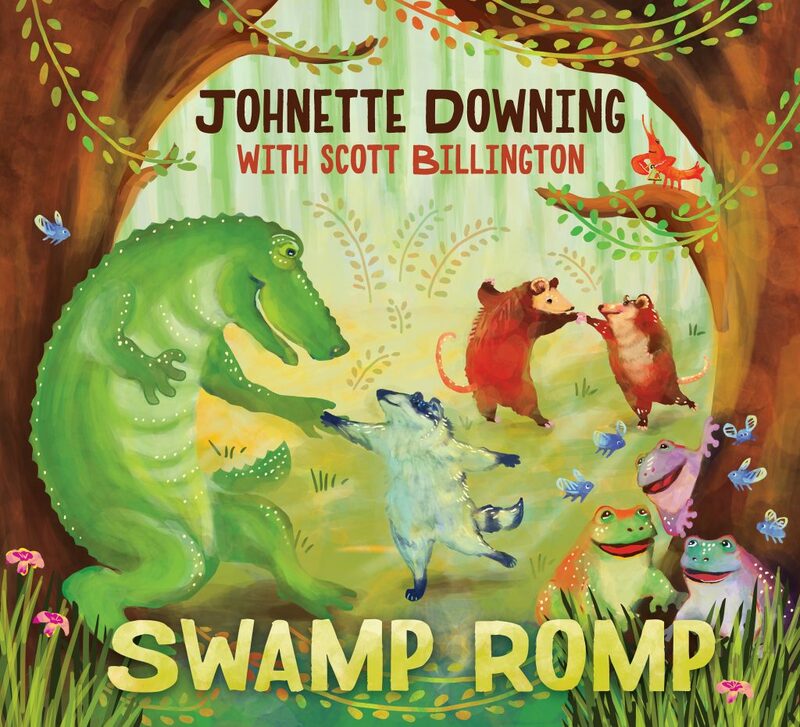 In the case of Swamp Romp, the new album from Johnette Downing with Scott Billington, the cover is completely delightful. 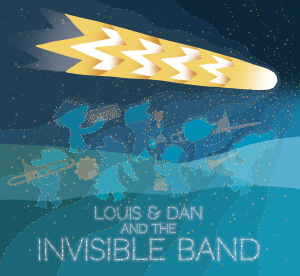 Created by Heather Stanley, the whimsy and joy of the cover art perfectly captures the Louisiana roots music featured on the album. Stanley, who works as the Director of Creative Services at the Audubon Nature Institute, also illustrated two of Downing’s books (Petit Pierre and the Floating Marsh and Mademoiselle Grands Doigts). She works in many mediums from watercolor to digital technology, often showcasing nature and the animals who inhabit it. Swamp Romp will be released on February 15, 2019.